I can’t believe I’m saying this. I loved this movie. Poor brothers, torn apart. Amazing graphics, good music. Download the soundtrack. It’s great. My skateboarder son absolutely loves it. It’s the kind of music you listen to before your TaeKwonDo testing. i dont think it will be a good movie. omg ! i wanna see that badly. if i watched this movie i will be laughing the ENTIRE time cuz normally i don’t watch kids stuff. I have seeen it!!! it is awsomr u should go see it! I have seeen it!!! it is awsome you should go see it! i really wanna see that movie!! i havent seen it;but im goin to see “Blades of Gloryy”;;YAY!! See you there Patricia&&Joseph!! OMG……….ii WANNA SEE THAT M0Viie S00 BAD………..ii WAS G0NNA SEE iiT 0PENiiNG DAy BUT ii DiiDNT MAKE iiT iiN TiiME S0 ii HUNG 0UT AT CARLS J.R………L0L SiiLLy HUUH………WELL iiREALLy H-PE iiT iiS AS GUD AS iiT S0UNDS CUZ iiF iiTS N0T ii AM G0NNA BE S00000 MAD…………[[L0L]]……….N0T REALLy BUT ii W0ULD BE WAiiSTiiNG My M0NEy iiF y00H KN0W WAT ii MEAN……….HAVE y00H SEEN iiT ALREADy iiS iiT GUD…….PLEASE SAy yES………PLEASE SAy yES!! !……ND iiF iiT iiS ii WANNA G0 BUy 0NE 0F TH0SE K00L SHiRTS THEy WERE HANDiiNG 0UT……..WELL ii G0 T0 G0 BUT ii H0PE THE M0ViiE R0CKS!!!!!!! 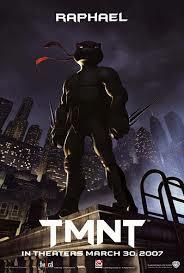 TMNT looks like a cool movie i heard it’s the #1 movie in the box office!!!!!! I haven’t seen this movie yet. But I know that it will be a good movie. i want to see spiderman 3 im going to watch it this friday. They used a lot of money on the movie. i really wanted to see this movie but i never got a chance to go… but i’ve seen spiderman 3!